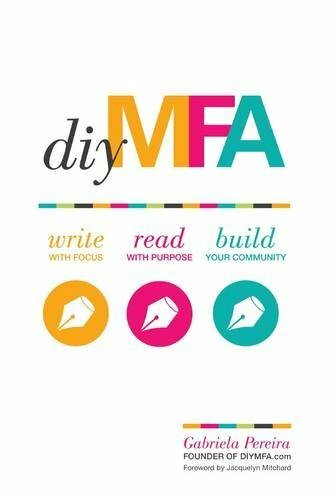 I’d previously heard someone mention the do-it-yourself masters-of-fine-arts degree in creative writing during a presentation, so I was thrilled when I came across Gabriela Pereira’s book, diyMFA. I’m also prone to doubts (watch my YouTube video here about how I release them); one of which is that I need an MFA in fiction writing to be successful. Thankfully, after reading diyMFA, I now know that it’s not necessary. Not only that, but with a diy MFA, I can tailor my study to my specific genre, historical fiction. Gabriela breaks the diy MFA concept down into three categories to concentrate on to varying degrees at varying points in the process: write with focus, read with purpose, and build your community. The book addresses each of these areas, with the bulk concentrating on writing with focus. It gives you insight into traditional MFA components that you can incorporate into your own practice; things like writing every day, having people review your work, and connecting with other writers. I also liked how the book encompasses more than just writing mechanics, providing advice on what to do to help build the platform you’ll need when you publish, all while writing your book. I mistakenly thought that I would have to finish an MFA before I wrote my next book, but with Gabriela’s technique, you write the book while working on the diy MFA. You can find diyMFA on Amazon here and you can learn more about the program and get lots of other information at DIYMFA.com. Have you or are you endeavoring to complete your own diy MFA? I’d love to hear how it went or how it’s going. Just comment below. I’ll talk about my diy MFA progress in upcoming writing craft posts. Think about the last really good, can’t-put-it-down, up-until-three-in-the-morning-just-one-more-chapter book you read. What was it that kept you reading? It was probably some sort of suspense. You just had to turn one more page to see how things turned out. This suspense is created by tension. The creative writing technique of creating tension and relieving tension is used by storytellers to pull readers through to the end of the story. You can create tension in a variety of ways. But before we talk about that, let’s address when it is appropriate to increase tension and relieve it. Tension can be equated to conflict; it could be a conflict between two people, between people and an object, or between a people and what’s in their own heads. Fundamentally, it is someone wanting something but being prevented by something or someone else from getting it. Use tension to build suspense and keep people reading so they have to find out what happens. One key in building tension is that the thing or circumstance wanted by the main character has to be important; the stakes need to be high. Let’s say you’re telling a story about someone who is late. Let’s say this person is five minutes late for a continuing education college class where the instructor notoriously takes ten minutes to get started on the lesson. Depending on the type of person she is, this may be quite a tense situation. However, now let’s say this same person is five minutes late for her last graduate class, it’s the final exam, and if she’s not there on time, the doors will be locked and she can’t get in, and if she can’t take the class, she has to wait a whole semester to graduate. Which scenario makes your throat tighten a bit? First, write. Short. Sentences. All of those periods close together automatically create tension. It seems more urgent. Use dialogue; showing people in actual situations having conversation makes the writing feel more alive and real, especially if what the person is saying is a façade for what he really thinks or believes. Stay close up. The first ways of writing in these last two points bring you close in to what’s happening in the story; the second ones pull you away. Staying close up builds tension. Think about tension the next time you are writing. Build it higher and higher to keep the reader involved until the climax when you resolve the conflict and relieve the tension. Normally, this is the time of the month when I post something about the writing craft. However, I’m knee deep in getting ready for the launch party of my latest book, Taming the Twisted, (2-5 p.m. at Camanche Days near the arts/crafts tent in Camanche, Iowa, tomorrow 8/15/15 if you want to stop by.) I have everything packed and ready to go, as you can see from the huge pile in my living room here with my pets checking everything out. Get a pen and paper so you can take this down. Just practice. Write. And when you’re done, write some more. Do you want to start a writing craft journey, but you’re not sure where to start? You know all of the great reasons to write (for mental health, to express creativity, to inspire or help others, etc. ), but you just can’t seem to begin? It’s easier than you think. While looking at your calendar and considering all of your other obligations (work, school, kids, chores, etc. ), decide on a writing craft goal for the next week. Think of it like exercise. Start slow and increase your goal each week. Next, PEN it in. View your writing time as an appointment you can’t miss unless you have an emergency. Note: Laundry and dishes are not emergencies. All you really need is a pen or pencil and paper, but you may like a lamp or light, chair, desk or table, computer, and reference books. You can plan to write outside of the home like at a coffee shop, but it is a good idea to have some writing space at home for when you can’t get away. Keep index cards or notebooks plus pens or pencils everywhere you go (by the bed, by the toilet, in the car) so you can jot down ideas and thoughts when they come (which you know will be when you least expect them). Or carry a digital voice recorder. Sept 2: Get on the merry-go-round. Do you already have an idea for a poem, story, creative essay, or another writing craft project? Great. Write it down. Write. Write. Write until there is no more. Don’t worry about punctuation, spelling, grammar, etc. Not so lucky? Great. Write. Set the timer and write about anything and everything in your head in no particular order without worrying about writing mechanics. Use prompts from books or websites. Go somewhere and write what you see, hear, feel, taste, and smell. Make lists and then when you write, pick one and go: places lived, old friends, vacations taken, questions you’ve had, heartbreaks, foods you like/dislike, things you know, teachers you’ve had, jobs you’ve held, or one of hundreds of other topics. Ask yourself, “What if…?” and then answer the question. Start with “I want to write about…” and then go into details. When you think you’re done, set the timer for a few more minutes and keep going. Eventually, an idea for a poem, story, creative essay, play, or other work will come to you. Step 3: Get it in shape. Some projects may require research beyond what you already have in your head. If so, get that done first. Good resources include the library, the internet (just be careful of user-generated sites), personal interviews, and observation. Once you have everything you need, put your words in the final form you desire (poem, story, novel, etc.). Leave out stuff from Step 2 you don’t need or want but still don’t worry too much about the nitty-gritty, writing-class type details. Step 4: Get it good. This is where you really get down to business. Read through your piece as many times as needed to make it more exciting, interesting, readable, and insightful. If you need help, visit the book store or check out books at the library about whatever form you’re writing in (poetry, fiction, non-fiction) as well as about creative writing in general. Especially in fiction and creative non-fiction, you can amp up the energy in your writing by using specific but not clichéd words, using dialogue, or by using shorter sentences. You can increase tension by creating a character; giving him or her a big, important problem; putting him or her in danger of not being able to solve the problem; then solving the problem while creating additional little problems that must also be solved before the story ends. Keep the stakes high; continually ask yourself, “Who cares?” In all forms of the creative writing craft, increase the impact of your images by creating pictures with words, involving all of the reader’s senses, and writing active rather than passive sentences. Deepen insight by showing readers a truth about human behavior or offering a new way to look at something. Keep your point of view consistent unless you have a reason not to, keep your reader in mind as you revise, and show, don’t tell. (Show: “She shuffled her slippered feet across the hardwood floor.” Vs. Tell: “She was tired.”) You’re voice and style in creative writing is uniquely you. The only way to hone it is by practicing and learning by reading other work and writing craft books. The most important thing to keep in mind is your voice is YOU. Find yourself, who you are, what you’re about, how you feel, what you think, and you will find YOUR voice. The most efficient way to do this is to write. Step 5: Get it in sharing shape. Use correct punctuation and grammar (and if you break the rules, have a reason). Read your work out loud and word for word and/or have others read it and give feedback. Cut “That” out: Read the sentence without “that”; if it doesn’t belong, chop it. Remember the power of said: It is a nearly invisible word so think hard before using something else like shouted or whispered. Try to make the dialogue speak for itself. Step 6: Get it polished. Once you think you have your work all edited and ready to go, read through it one more time. If it is a book-length piece and you want someone else to publish it, consider professional editing. No matter how good we are, our brains always want to read what we should have written and not what we actually wrote. Step 7: Get it out there. If you want your work published in print or electronically, query agents, publishers, and/or magazines as appropriate or publish it yourself. If you’re not interested in publication, you can still share your work with friends and family or start a blog (several are free). Participate in open readings or give your poems and stories as gifts. Embarking on a creative writing craft journey can be a rewarding, healthful, and life-changing experience. Following these seven easy steps will get you going. Have you ever wondered how novelists come up with their ideas? Or maybe getting the idea is easy; it’s developing it into a full story that’s the problem? The idea first comes from a tiny speck of thought with no development or detail. My first manuscript’s idea extended from my paralegal job. I thought I’d write a story around a U.S. Supreme Court case, supposing it was decided the opposite way. 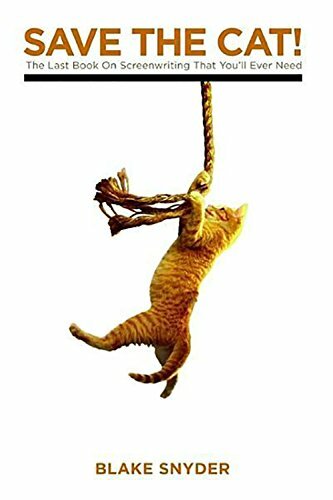 So I found interesting court cases on the Internet and read books about famous Supreme Court rulings. Eventually, I settled on a story about a teenage attorney, Melody Madson – May It Please the Court?. The idea for my second novel, Missing Emily: Croatian Life Letters, came to me after meeting my friend from Croatia. In June of 1991 when civil war broke out in her country, I had just finished my junior year of high school; my baby cousin had died about 1 1/2 years before; and my boyfriend, a foreign exchange student, returned home and didn’t write to me like he said he would. And I was so wrapped up in my own problems, I had no idea that there were children, like my friend, living through civil war, awake at night afraid someone would break in to slit their throats in their sleep. I thought about what might have happened if my friend and I had contact during that time. The idea was born. My current novel, Taming the Twisted, takes place in 1860 in Camanche, Iowa, where I grew up. A tornado ripped through the town on June 3, 1860, which, legend has it, prevented the town from growing larger than the neighboring and currently largest city in the county, Clinton. For this book, I chose the setting and time frame and then worked to build a story around that. My next book will also take place in Camanche, Iowa, but this time the story will center around clamming in the 1890 to 1910 time period. The main character is going to be married to a descendant of one of the toddler twin boys in Taming the Twisted. Eventually, I’d love to create a whole series of books about this fictional family throughout time, not unlike Jennifer Chiaverini has done in her Elm Creek Quilt series. I love to research and did so for all three of my books, though less on the first one when I just looked up court cases to find a realistic one to base the story around. For Missing Emily and my current work, I performed extensive historical research. Missing Emily‘s involved several conversations with my friend, books, newspaper articles, and documentaries on Yugoslavia’s breakup. For my current book, I researched newspaper articles about the tornado and then books about the civil war, Iowa and Clinton/Camanche history, and life in the 1800s in general. I also read novels written in or about that time period, the civil war, and other young adult historical novels. I had an outline for my first book; I developed the characters as I went along. I performed more character sketching for my two most recent books by writing character profiles, descriptions, and thinking about their personalities. I had a difficult time outlining Missing Emily; it was hard to invent a way to tell both of their stories using just correspondence while still showing rather than telling. I went back and forth with it and then finally threw out my outline and just plowed through it. For Taming the Twisted, I started with a bare-bones outline. After writing about half the book, I decided I wanted to include a more prominent murder mystery element. So I threw out much of what I’d written and started the story a year later. For all of my books, I’ve known generally where I wanted the story to go and how I wanted it to end but had varying difficulty figuring out how to do it. When I figured it out, I went back and drafted more detailed outlines. I type my novels directly into the computer, saving backups of backups and emailing the partial manuscripts to myself to serve as an additional backup. Though it takes me longer than I would like, I strive to just get the whole story out and then go back to add to it, fill in any holes, and revise. If I think of a question while I’m writing, I make a note to myself and move on. I’m finishing incorporating feedback from my beta readers for Taming the Twisted; they have given me some great ideas of things I need to add or change. My experience is proof that there is no one way to write a novel. What works for one author might not work for another. And what works for one book may not work for another. The important thing is just to get it written. If you’ve written a novel, what has worked to help you get it out of your head and onto the page? If you’re contemplating your novel, what are some techniques or processes you’ve wondered about? Still stuck? Feel free to leave a comment, email me at jodie@wordsywoman.com, or use the contact form.